Pivot Health Short Term Medical (STM), underwritten by Companion Life, is designed to provide great short-term coverage with benefit options equivalent to long-term coverage. Pivot Health Core Short Term Medical (Core STM), also underwritten by Companion Life, helps cover every day medical expenses like doctor office visits and outpatient care and, optionally, prescription drug costs. Fixed indemnity benefits help pay for major services like hospital stays and surgeries. 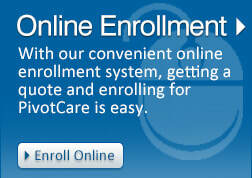 Enroll for either STM plan here! Would you like a customized web page for your sales? Contact Allied's Sales Support at 888-767-7133 or email sales@alliednational.com. We will assist you in getting a Pivot Health STM affiliate link to send to your clients. You will not need to fill out any Companion appointment paperwork until after you submit your first case. AL, AR, AZ, DC, FL, GA, IA, ID, IL, IN, KY, LA, MI, MO, MS, NC, NE, NV, OH, OK, OR, PA, TN, TX, VA, WI, WV, WY. ​Please click here for duration options. Pivot Health STM is underwritten by Companion Life and is rated A+ (Superior) by A.M. Best Company. If you do not have a Pivot Health STM personalized page, please fill out the information below and submit your request. After submitting, it takes 24 to 48 hours to create your web page. Allied sales will email you with your link as soon as it's ready.